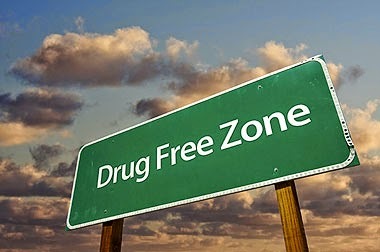 The Drug-Free Workplace Act of 1988 is an example of legislation in the US aimed at reducing the number of drug users in organizations contracted by the American government. This act influences contractors of the federal government and organizations that take advantage of the government grants. It demands from them having a workplace without drugs before signing any deal with the authorities. This fact needs to be officially certified, and many businesses run according to the rules of the Drug-Free Workplace Act. First, a written set of rules need to be established. Every employee must be aware that it is forbidden to possess, distribute or produce drugs in the place of work. There are 35 government agencies that acknowledge the rule which describes conditions to be met by grantees. In order to prevent their workers from the results of addiction to various substances, many bosses introduce special programs. Such programs usually consist of five elements: no-drugs-in-the-workplace policy, supervised training, educating the employees, supporting them and testing for the drug's presence. Not all the elements need to be included in the program, still it is advised. It has been scientifically proven that the more elements, the more effective the program is. It could be as uncomplicated as the willingness to ensure security, health, and good morale of every member of a company or the awareness of the fact that addicted people work less efficiently. Comprehensibly stated forbidden behavior. At least it must include this statement: “Using, possessing or selling prohibited substances by workers is strictly forbidden”. It might be a disciplinary punishment, even a termination of a contract or referring an employee to a specialist. These consequences need to be in accordance with current procedures and the law. In order to achieve success in this field, each and every employee must become familiar with the policy rules. How to identify and cope with those who are not efficient enough, probably due to problems with drugs or alcohol? What should be done to have an employee referred to a specialist? All the supervisors need to do is to constantly oversee the efficiency of their co-workers, and report situations when this efficiency is lower than usual. Still, it is not the role of the supervisor to make a diagnosis of others’ addiction problems or counsel people with such problems. Keep in mind that supervisors who can in justified cases refer their co-workers for drug tests must know how to do it. We can call a program successful if every employee completely understands it, is willing to cooperate and sees all the advantages of participating in this program. Such programs allow companies to gain knowledge about the details of the policy, and general features concerning the whole issue of addiction, how it influences work efficiency, health or private life. One can also get to know what kind of help is recommended for the victims of addiction. There must be no exceptions; everyone in a company is to become a participant of the program. Educating the employees could take forms of workplace displays, home mailings, brown-bag lunches or guest speakers holding seminars. It is essential to support the employees suffering from either drug addiction or the alcohol one, as a part of the drug-free workplace. When low work efficiency becomes a problem, it is advised to resort to Employee Assistance Programs. Their aim is to alter the situation by helping the employee in question, and his or her private issues that might include abuse of various prohibited substances. EAPs are not only a great support, but they also show that the employer really cares. If you want to pregnant and you need a child please contact this great man called Dr.Oniha, this man is so powerful that he has the power to make one pregnant immediately after contacting him. i contacted him few days ago for help and now i am pregnant what a great miracle i could not conceived before but after contacting him my story changed for good so if you need his help contact him now on (greatoniha@yahoo.com) or call him at (+2347052534659). contact him today and get pregnant in the nest 48hrs.